This place is well known for its chic and happening ambience and what better way to celebrate your NYE here. There’s a War of DJs too with contemporary music., along with unlimited food and drinks like Ballantine, JW Red Label, Beefeater, Jacob’s Creek Red and more. Head to this place with your partner and make your night a memorable one. Click on this link to get Couple Passes at just INR 4,499 and enjoy DJ with unlimited drinks and buffet dinner at Molecule Air Bar. The pink and green lights glitter and glimmer around adding a magical charm to the place. This New Year they have brought DJ Rony and DJ Preet to make the crowd go crazy. Also, refill yourselves with unlimited food and drinks. There would be drinks like Bacardi, LIIT, Jameson, Bloody Mary and so many other too. Click here to get the Couple Passes to Manhattan Bar Exchange on NYE and enjoy DJ Party with Unlimited Food & Drinks at just INR 4999. Duty Free which received loads of love ever since it opened its gates, is also hosting a NYE Bash. With War of 5 DJs, including DJ Shakks, DJ NMN, DJ Sam, DJ Panks and DJ GV. They too are offering unlimited food and drinks. This should not be missed. This NYE, visit Duty Free with your partner to enjoy DJ party with Unlimited Drinks and Starters at just INR 2,999! 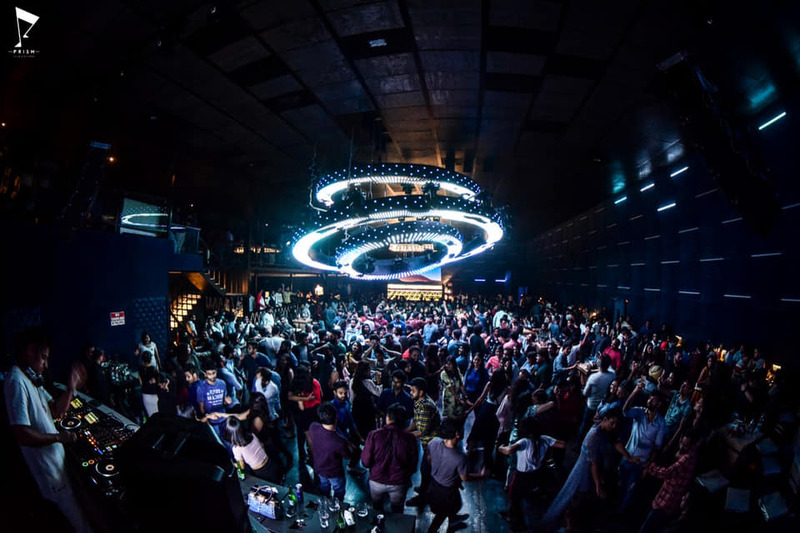 It hasn’t been long since Decode opened up in Gurgaon, and it’s become everybody’s favourite already. They have brought DJ Twin Rave to light up your night, along with arranging live fireshow on terrace. So, break a leg on the tunes of the DJ with unlimited drinks and starters. Click here to grab your couple passes for the NYE at Decode Underground with Unlimited Food & Drinks at just INR 3999! 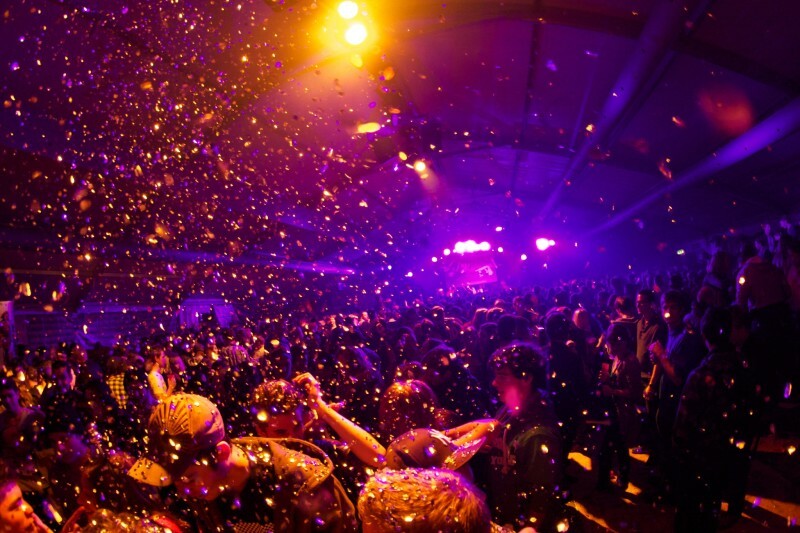 If you want to enjoy the first ever Glow in the Dark party in Gurgaon, then don’t miss Prankster’s NYE Bash. Get trippy on the theme and also on the tracks of DJ Deepster. Gorge on the unlimited food and sip the unlimited drinks, like never before. With NYE round the corner, click here to avail Couple Entry to Prankster’s DJ party + Gala Dinner + Unlimited Drinks at just INR 4,499! Southpoint Carnival is Delhi-NCR’s biggest brewery. The themed restaurant is designed to look like a carnival with seats set up to resemble carnival rides, fairly lights that light up the entire restaurant and this quirky set is perfect for a dream-like New Year Party. Isn’t it? Click here and head to Southpoint Carnival with your partner on NYE and relish Unlimited Starters and Unlimited Drinks at just INR 3,999. This lounge is a great place to grab a drink or feast on a hearty meal while enjoying some great live music. If you are thinking of something big this NYE, head to this place with your partner and enjoy the true vibe with DJ Navneet. Click here and book Couple Passes for NYE with Unlimited Food & Drinks at just INR 6,000 at the very amazing Soi 7 Pub & Brewery. 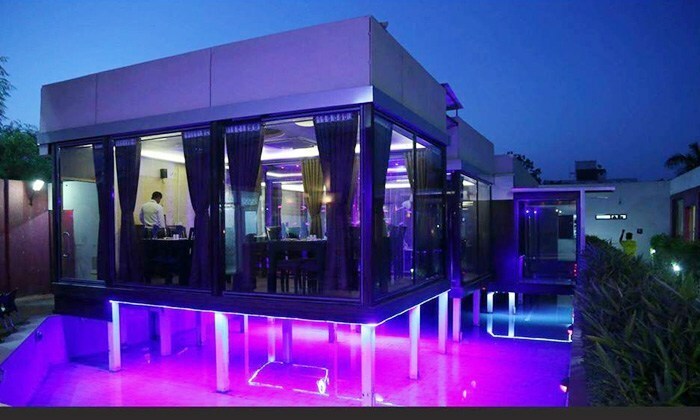 This rooftop lounge brings together ambience, location and a variety of food and drinks. So, you can understand how chic and classy this New Year party could be. There’s going to be DJ, Dhol and unlimited food and beverages. Click here to celebrate your NYE with your partner at Vapour Bar Exchange with Unlimited Starters and IFML drinks at just INR 2,500. It’s time to end your year with a Smaaash! What all do you expect from a party? Good music, lighting effects, great ambience, right? Smaaash is here to fulfill all your party expectations. What better than partying in a gaming arcade! To the tunes of Bollywood, with unlimited drinks, you can totally let yourselves loose. Click here to grab Couple Passes at Smaaash to celebrate NYE with a Bollywood Party Night and Unlimited Drinks and Food at just INR 3,519! This pub sports New Year party is capable of driving you crazy with its trippy tunes and unlimited imported drinks and starter. The DJ promises to give you a night to remember. So, head to Sutra this NYE. Click here to grab Couple Passes at just INR 5,999 with Unlimited Drinks and Snacks. Hurry up!! Delhi! These 4 Parties In The City Are Creating The Wildest Buzz & You Should Be There! Hyderabad! Still No Plans For NYE? These Places Are The Perfect End To Your Quest!! Mumbai! Put An End To 'New Year Ka Kya Plan Hain' With These 3 Parties!! Mumbai! Step Towards The New Year With The Best Hangover At These 3 Parties!! Reasons Why Hoppipola Is Where You Should Be At When The Ball Drops! Previous Post Let’s Party, Delhiiiii! 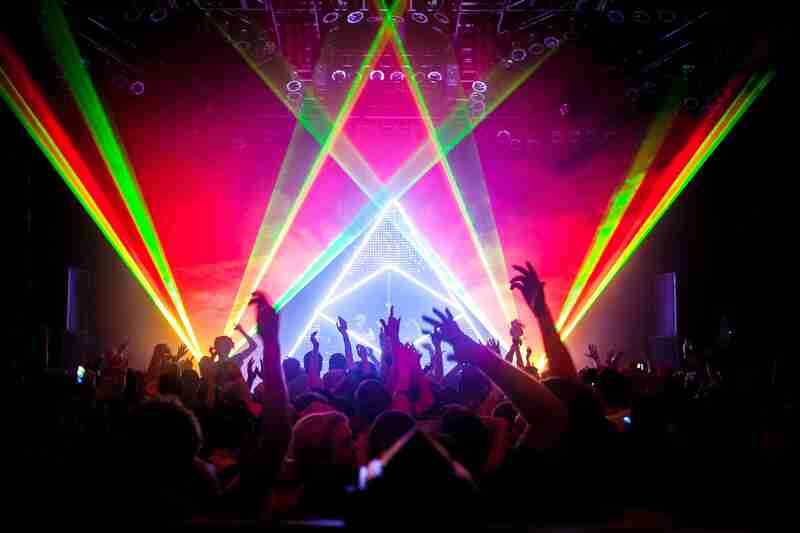 Check Out These 7 Places Where You Can Party Your Heart Out! Next Post Mumbai! Have The Last Hangover Of The Year At Tipsy Gypsy For Just INR 3,999!